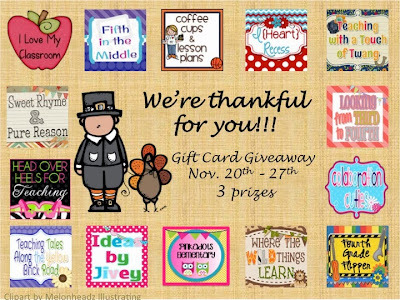 Pinkadots Elementary : Workshop Wednesday: Strategies & Ideas to Get Kids Writing PLUS an awesome GIVEAWAY!! Workshop Wednesday: Strategies & Ideas to Get Kids Writing PLUS an awesome GIVEAWAY!! 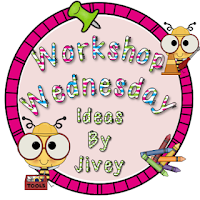 Today I am linking up with my girl, Jivey, for Workshop Wednesday! The topic is strategies or ideas to get kids writing. My advice is to get the students in the habit of doing lots and lots of writing, and then set aside a different time to re-visit selected pieces. I do this a few ways. I start out in the beginning of the year by making it a daily routine to complete a ten minute quick write. 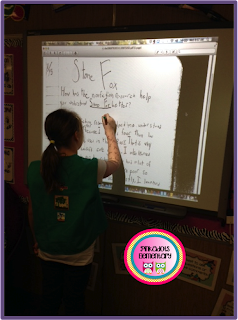 Quick writes are not judged on spelling or grammar, but instead promote writing stamina. At the end of ten minutes the students count the number of words the wrote, write the number at the top, and circle it. Hopefully the number improves throughout the year. 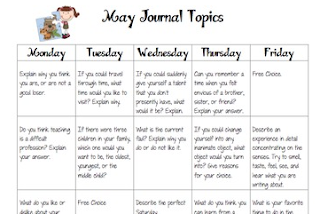 I get the ideas for my quick writes by using a month writing calendar that I created. There are a few "free choice" activities each month so students can choose to elaborate on an entry or write what is on their mind. After the students record their number of words I always call of a few students to share their writing. Usually everyone volunteers and wants to share, so I try to pick different students each day. A really cool new idea that I can use this year is sharing student work by simply making a copy! My district just received new copy machines that have an email function. When making copies I can simply press a button and have the document emailed to me. 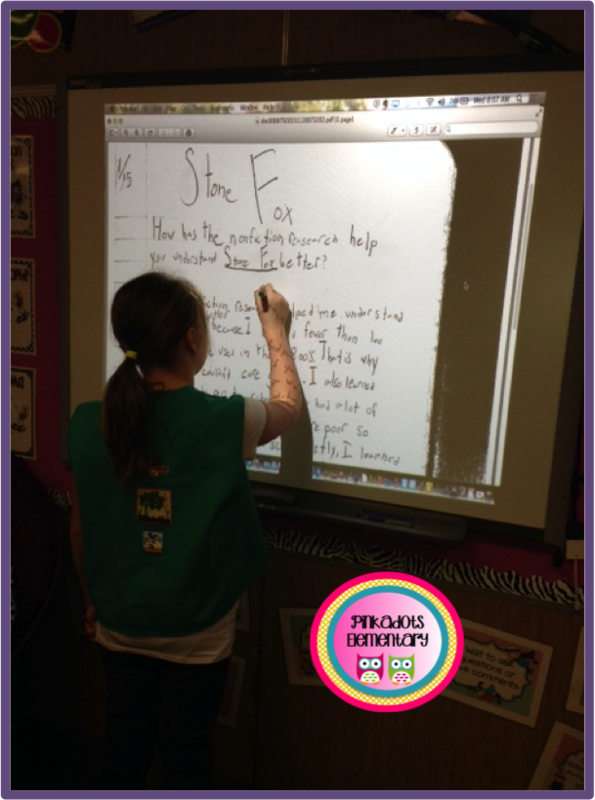 In class I can show the document on the Smart Board and mark it up. Not only do the students love adding this technology into the classroom, but they love having their work shown on the big screen. I allow students to come up to the board and use the Smart Board pens to mark up sections of writing (circle the introduction in red, underline the example of text evidence this student used in paragraph two...etc.) This is a great way to collect student writing samples so that students can analyze someone else's piece. Hopefully from here they will be sure to focus on big-picture issues like staying on topic and organizing information into paragraphs before they look at capitalization or word choice. Then students can start applying ideas from the discussions to their own work. With the CCSS having so much emphasis on collaboration between peers, I often have the students meet with me and/or their peers while using checklists and rubrics to examine their own writing. They end up learning so much independence from this process, and they eventually get over the idea that they can just crank out a piece and call it a day without doing some revisions. I create rubrics for all writing pieces. I allow the students to give input so they can understand how the piece should be set up and where their grade comes from. I also make rubrics with a student score as well as a teacher score. By having a student go through the rubric to grade their own work before passing it in, it will give them another opportunity to double check their work. This also helps parents see how their child was graded when the work is eventually sent home. I hope you found some of these ideas helpful! I can't wait to read more ideas to get kids writing! Now it's time to show my appreciation to you! THANK YOU for following my blog, leaving me motivating comments, and letting me know I am not alone in this crazy job of teaching. A bunch of bloggers have joined up to say THANK YOU. Thank you for following us. Thank you for your support, encouragement, and friendship. We have learned so much from you. So we wanted to say thank you with a Gift Card Giveaway. Simply fill in the rafflecopter below and you have a chance to win one of 3 prizes. 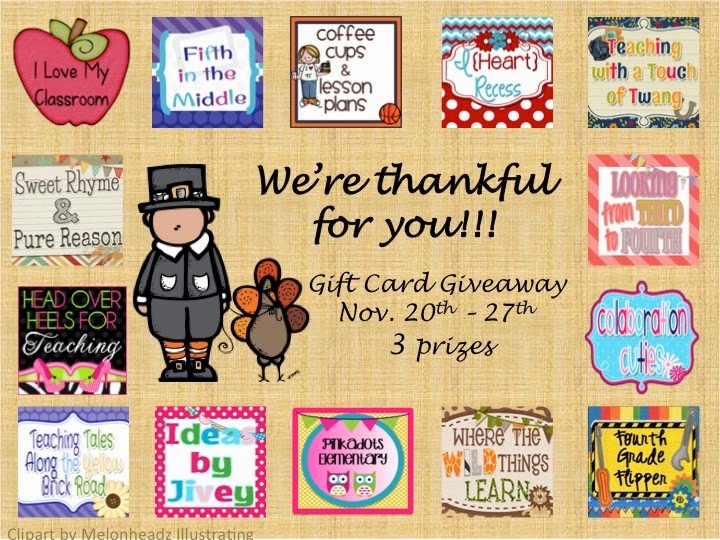 3 lucky winners will win a $25 gift card to TPT. WHOA! I'm drooling over the copy machine being able to email you! That is AWESOME! I do a lot of peer assessing in my room with rubrics too...the kids love it. Thank you to all of you for the great giveaway! I want that copy machine!!!!! :-P Thanks for linking up! These are great ideas!